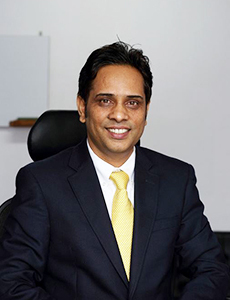 Madhu Kumar Marasini, Joint Secretary of the National Planning Commission Secretariat, became the SUN Government Focal Point in Nepal in February 2016. As a Joint Secretary, Mr Marasini currently heads the Social Development Division at the National Planning Commission Secretariat (NPCS) and is leading the Multi-sector Nutrition Plan in coordination with the various divisions of NPCS and sectoral ministries. As he prepares to attend the workshop Public Financing for Nutrition in Asia from 25-27 April 2016, he shares his reflections on the budget analysis exercise undertaken with multiple stakeholders and across sectors in Nepal. Why do you feel that tracking nutrition budget allocations can be important for the Government? Nutrition is directly linked with the overall health of the population. Without the stock of healthy population, nations cannot flourish. Tracking nutrition budget helps for better planning for nutrition programs, identifying the gaps, and negotiating with the Ministry of Finance if the allocation is lower than required. Nepal has opted for a multi-sectoral approach to implement nutrition programs based on its Multi Sector Nutrition Plan (MSNP). In recent years, Nepal has been at the forefront because of the nutrition specific budget which has a clear mandate and vision. 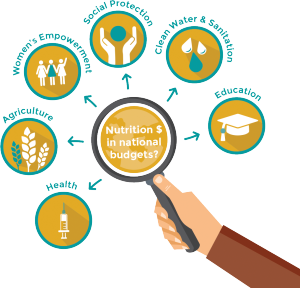 The tracking of budget allocation of all sectors, especially alongside the three sectors identified by Common Action Framework – Nutrition Specific, Nutrition Sensitive, and Governance, is crucial for-minimizing the duplication in resource and maximizing the utility by proper planning and channelizing of the resources. What have you found most striking/interesting while embarking on this exercise? In general the budget tracking mechanism has been helpful to measure the resource pie, and channel the nutrition budget accordingly. The system reflects that despite satisfactory allocation across the sectors, it is difficult to track the actual financial resources for the sector due to a lack of specific Budget Code for MSNP. This is a crucial aspect for developing and budgeting the local level plan. It is difficult to mitigate the gap in terms of information and channelizing of the information for addressing the resurged problem in Nutrition Sensitive budget. What limitations have you found so far while undertaking the exercise? The limitations have been mostly about aligning the resources and identifying the gaps appropriately as there is lack of proper financial tracking mechanism. But with the implementation of Line Ministry Budget Information System, LMBIS (2014), a systematic tracking could be possible. Though the LMBIS is not an out borne of the MSNP tracking mechanism, it could become a guiding roadmap. LMBIS is the web based system developed for line ministry to prepare the annual work plan and budget proposal which features; activity-wise budget allocation, trimester breakdown, transparency, finalize budget and program simultaneously, ease and timely program implementation, bottom-up program proposal, Integrated Financial Management Information System (IFMIS), etc. Has the exercise revealed any new information-to date-which will assist you in reaching out to different sectors in your government? Yes, the information has been important in reaching out to all sectors at all levels. Addressing the issues in a right based approach from bottom to up and top to down approach (horizontal as well as vertical alignment of the government system) all the relevant sectors are working together in planning, budgeting and implementing key interventions. The information has reflected the increment of the budget allocation for nutrition intervention in multi-sector approach so that the districts can execute the costed plan effectively. With the trainings on planning and budgeting and the series of advocacy, it has also highlighted the important aspect of tapping the resources at the national and district level (internal sources). This will help in the effective implementation of the planned activities and the budget ceiling doesn’t totally disrupt the efficacy. Separate Budget Code for Nutrition (Specific and Sensitive) sectors is crucial. We are hopeful for the creation of the separate budget code soon and it will be easier for nutrition budget tracking. Has the exercise made you consider building on this work in the future- and undertaking more extensive tracking of nutrition across sector portfolio? Definitely, the exercise made us more sensitive in terms of budget allocation and expenditure. This can be further extended to observe not only the allocative efficiency but also operational efficiency. It helps all the sectors and stakeholders in analyzing the budget for the nutrition. It will be aligned with the SUN movement throughout the country. How do you intend to use the analysis from this exercise? The exercise provided opportunity to analyse the budget in nutrition. This has empowered the actors of nutrition to conduct an evidence based financial negotiation. We will use it for better programming and planning of nutrition programs and thereby help create a healthy population for the country. The other stakeholders in the field of nutrition can also use the exercise outcome to direct their future interventions . Nutrition specific and nutrition sensitive budget can be increased based on the necessity of the country and the community. This can be equally used for the advocacy with the policy makers, high level government officials, donors, United Nations, and other supporting partners in terms of increasing budget allocation in food and nutrition. Developing countries can be benefited from this type of exercise. Well analysed and said. Congrats !